Gustave Dreyfus [1837-1914], Paris; his estate; purchased 1930 by (Duveen Brothers, Inc., London and New York); purchased 1945 by the Samuel H. Kress Foundation, New York; gift 1957 to NGA. Migeon, Gaston. 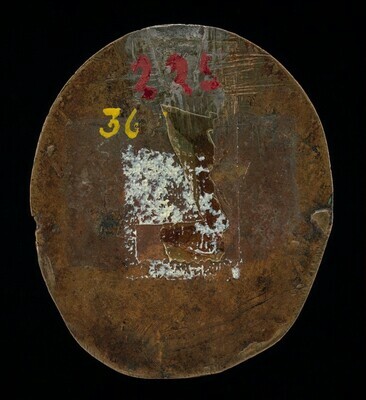 "La collection de M. Gustave Dreyfus, V: Les plaquettes." Les Arts 80 (August 1908): 28, fig. 7. Ricci, Seymour de. The Gustave Dreyfus Collection. Reliefs and Plaquettes. Oxford, 1931. vol. II, 250, no. 367, pl. 106. National Gallery of Art. 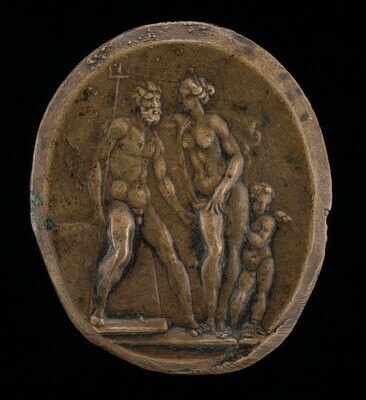 Renaissance Bronzes: Statuettes, Reliefs and Plaquettes, Medals and Coins from the Kress Collection. Introduction by Perry B. Cott. Washington, 1951: 156. Pope-Hennessy, John W. Renaissance Bronzes from the Samuel H. Kress Collection: Reliefs, Plaquettes, Statuettes, Utensils and Mortars. London, 1965: 12, no. 22, fig. 368. Donati, Valentino and Rosanna Casadio. Bronzi e pietre dure nelle incisione di Valerio Belli vicentino. Ferrara, 2004: 196 no. 9, repro.